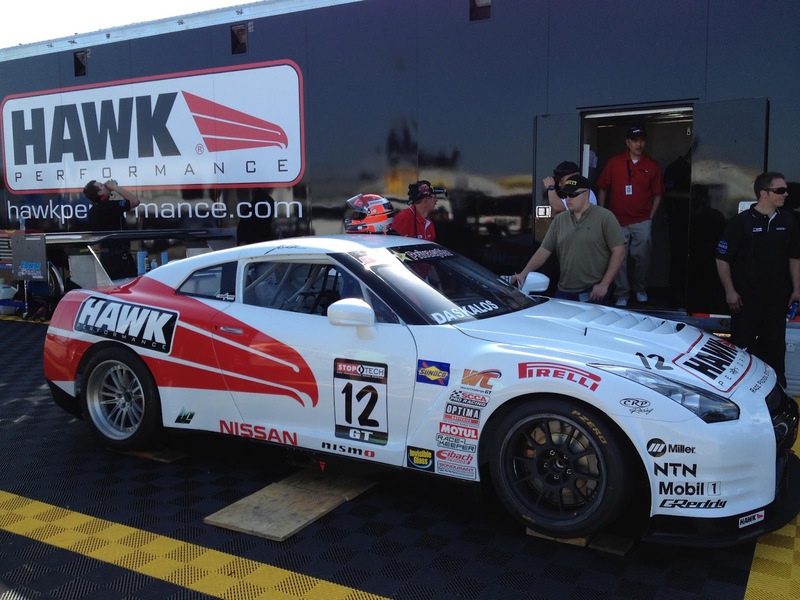 CRP Racing has two cars at the St. Petersburg Grand Prix World Challenge event this weekend. Their plan was to run the Nissan GT-R this year, but it seems that both cars were not finished in time for the event. Mike Skeen in last years Chevrolet Corvette was quickest in this mornings practice, and second quickest in the early evening practice. Jason Daskalos didn't make the early morning practice with the GT-R, but was 15th in the afternoon practice about 7 seconds off pace. Qualifying for the first race starts at 8 am on Saturday. The first race of the weekend starts at 6 pm on Saturday. The second race of the weekend starts at 11 am on Sunday. Check out the World Challenge site for live timing and scoring. 1. GT, (46) Justin Marks, Davidson, N.C., Porsche 911 GT3, 1:16.921, 84.242. 2. GT, (2) Mike Skeen, Charlotte, N.C., Chevrolet Corvette Z06, 1:17.385, 83.737. 3. GT, (14) James Sofronas, Newport Beach, Calif., Porsche 911 GT3, 1:17.385, 83.737. 4. GT, (4) Dino Crescentini, Manhattan Beach, Calif., Porsche 911 GT3, 1:17.565, 83.542. 5. GT, (3) Johnny O'Connell, Flowery Branch, Ga., Cadillac CTS-V Coupe, 1:17.659, 83.441. 6. GT, (1) Lawson Aschenbach, Darnestown, Md., Porsche 911 GT3, 1:18.103, 82.967. 7. GT, (8) Andy Pilgrim, Marina Del Rey, Fla., Cadillac CTS-V Coupe, 1:18.203, 82.861. 8. GT, (85) Steve Ott, Houston, Texas, Porsche 911 GT3, 1:18.750, 82.285. 9. GT, (77) David Welch, Bothell, Wash., Ferrari F430 GT, 1:20.050, 80.949. 10. GT, (47) Tomy Drissi, Hollywood, Calif., Porsche 911 GT3, 1:20.224, 80.773. 11. GT, (11) Tony Gaples, Lincolnshire, Ill., Chevrolet Corvette, 1:20.257, 80.740. 12. GT, (6) Randy Pobst, Gainesville, Ga., Volvo S60 AWD, 1:20.673, 80.324. 13. GT, (9) Alex Figge, Denver, Colo., Volvo S60 AWD, 1:21.155, 79.847. 14. GT, (99) Jeff Courtney, Milwaukee, Wis., 1:22.352, 78.686. 15. GT, (12) Jason Daskalos, Albuquerque, N.M., Nissan GTR, 1:23.226, 77.860.